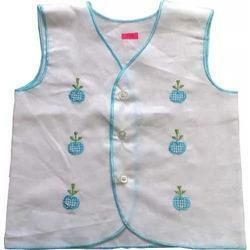 Fbaric : For Infants : - 100% Cotton Interlock For Kids :- Fine material. Just Born Babies Dress options offered is made available in custom finish choices as well as in material options of cotton and others. Fabric skin friendly and soft feel. We are manufacturing with classy hosiery cotton.This product will be upto the customers satisfaction based on quality.It seems to be more eco friendly and skin friendly. Designs : Customized designs . Stitching quality : Export quality. Infant T Shirts offered is made available in attractive finish designs with material composition comprising organic cotton or custom choices. 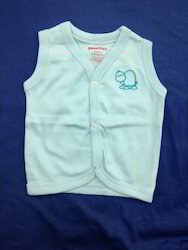 Baby Vest options offered is made available in woven finish in material comprising jacquard /yarn dyed/TR/TC. Baby Girl Frock options offered comes in quality construction finish and is made available. Baby Girl Frock meeting defined industry standards Also available in LDPE/HDPE material options Do not contain PVC, heavy metal/plasticizers Can be made available in print support of up to 10 colors Provides for classy look and attractive designs Can be repeatedly washed Fine detailing work finish Various designs available as demanded from us High quality finish for lasting usage value Smooth, soft and easy to wash fabric for convenient usage. Baby Jablas options offered is made available in woven finish in material comprising jacquard /yarn dyed/TR/TC. Baby Jhablasoptions offered is made available in different finish style choices to pick from. 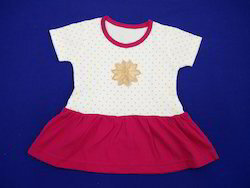 Infant Cotton Dresses offered can be made available in different attractive designs to pick from. 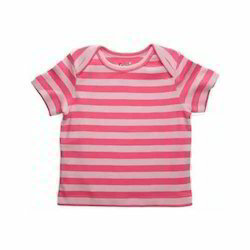 Infant Pyjamas offered comes in quality construction finish and in shell fabric option of 100% cotton at 180gsm. 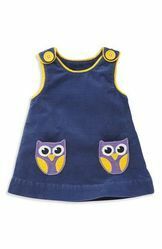 Our expertise lies in offering an attractive collection of Infant Rompers designed and stitched in unique manner as per the customer expectations. 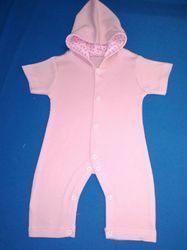 As a famous name of the market, we are supplying a large collection of Onesies Half Sleeve Romper to the customers. Our offered products are fabricated with soft and quality proven materials with the aid of latest fabrication techniques as per the industry set standards. Moreover, we are offering these products in various alluring designs, sizes and color combinations as per the customer choice. Customers can avail these products from us in promised time frame at reasonable price. Infant Garments offered by us are made available in custom finish choices as well as in material options of cotton and others. 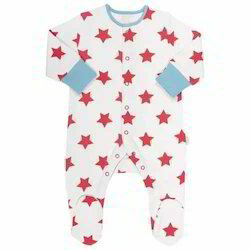 Infant Sleep suits offered comes in quality construction finish and in shell fabric option of 100% cotton at 180gsm. Production Capacity: 10,000 sets per month. Infant Wear options offered is made available in custom finish choices as well as in material options of cotton and others. Port of Dispatch: Door delivery via post / Transport via dispatch the goods. Delivery Time: 10-12 working days from the confirmation of order. 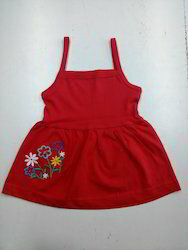 Girls Frock options offered comes in quality construction finish and is made available. 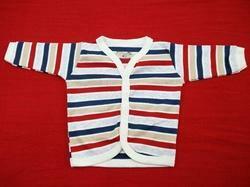 Looking for Infant Wears ?